Prolific Sound Engineer, artist par excellence. One of the brightest minds in India and the world in his field - is no more. He breathed his last this morning. Though I have run into him several times, said the HI-s and Hello-s it was only recently that he spent a few hours of on different occasions with me. The "upcoming" is a very tough place to be. The path is arduous and there are definitely a lot of things and instances that don't make the journey easy at all. As a child I have heard elders talking about the insults that musicians (who have later gone on to become doyens) used to go under the 'guise' if I daresay now, of learning, in olden days, the amount of hardships, the harshest of words that people have had to swallow, the varied experiences that almost always threaten to crush the spirit, enough and more people telling you that you are not good enough. Anyway, no one has a red carpet rolled out, especially if you have some capacity in you. There are spectacular times and there are very tough times. I went through a phase, when self doubt overcame me, due to various external triggers that I was at this stage where I started questioning everything I did. Worry was the only thing that consumed me. I questioned every note that came out of me. And let me tell you its like a black hole that consumes you. I have met varied kinds of people. I treasure but a handful. One of them were Sridhar sir. You could have known someone for years, but just exchanged the courtesies. But there are times when a certain short period of time can leave an indelible mark. I never really got to know Sridhar Sir, as I said, until a few months ago. A time when my spirit was near crushed. One of the days, I happened to start talking to him. He seemed to be having the time. He was lighting up a cigarette, I was audacious enough to ask him to kill it, which he did, after giving me a look in mock anger, and I started out asking about how to sing better, on managing headphones, stage performances and so many other things. And somewhere I spilled the beans saying I am worried about where I was and I had reached this point where I thought "should I be singing at all?" .. though I did not say the very same words, he quickly saw through that. And every time that I met him thereafter, maybe 3-4 times in all, he made sure he spent at least an hour, spoke to me, told me about "good days" and "bad days" and what to do. The point is he only told me the what-to-dos. Not the what-nots. I guess I was already overdoing it. He said he went through self doubt as well and that its good to take that lane once in a while, but we need to come back to the main road and go about doing what needs to be done to accomplish our goals. And without my knowing, he brought me back to the nicer world and leave the foggy one that I had created. And in the times that followed we ran into each other, he was tuned in enough to notice the changes happening and said that the light was returning to my eyes. That I had started smiling again. Or rather my eyes were smiling now. As they used to. I had just gotten lucky enough to be pep-talked by him. There were fun times too earlier when the topic came about finding the right guy. It was one of the most hilarious conversations of my life. This morning, I happened to call a common acquaintance for a follow-up and that was when this friend broke the news, after quite a long pause. "WHAT?" was my response... and "How come..." I was sobbed all the way home, called mom as well and told her. On the drive to his residence, I replayed all the things he had said to me, one by one. Tried to remember smaller details. After paying our respects and on the drive back, I kept mulling over all that he said to me. His work will live on for ages which goes without recording it here and he will be sorely missed by the industry. But the one thing that keeps coming back to me, is that so many people are now deprived of his wisdom, interspersed with his trademark laughter and wit..... so many youngsters.. could have thrived under some timely guidance which could probably come only from him . I had the good fortune to spend some time with this gentleman. Wish I had had more. Sridhar Sir, You should not have left. Not ever. But at least, not yet. Anybody who is a fan of Rahman Sir cannot possibly miss the man behind the sounding! Sridhar Sir! This is indeed a huge loss to the music industry. I had the good fortune of meeting him in person. He was one of the judges in a reality show we had participated in. A man of few words and a commanding presence. "I have a bad habit of cutting out vocals that aren't in shruti", he joked from behind the mixing console. A person every person with musical aspirations will wish had known. Sridhar Sir, you will continue to inspire us. it is because am testing your faith. it is because am testing your patience. I have a better plan for you. Remember God's promises are yes. your miracle is knocking at the door of your heart. what you need to see all your needs met. He has met all your needs. yes very sad to hear. I heard he was the pillar of Panchathan recording. Those early days of ARR (Gentleman, Kaadhalan, Uzavan, thiruda thirudaa.duet all,) he helped a lot. Chinayi, how about singer saahul Hameed. By the way, Rahini rocked as usual in Medlie round. she is awsome, she got more prssure from fans. I was completely shocked when i came to know about this news this noon.It is easy and cliche to attach the 'He will be missed' for people who leave this world.But i think that cliche assumes deepest meaning in the case of H.Sridhar. He was responsible for the change in the sound of Indian Film Music. A change, that brought about many subsequent changes, all of which were again pioneered by him. Just like Indian Film Music has an important milestone A.R.Rahman, in terms of the kind of music...the world of Sound engineering can be clearly demarcated into 'Before Sridhar' and 'After Sridhar'(and his associate Sivakumar too).For me,his calibre and craftsmanship was what that initiated me into thinking about 'what is good sound engineering?'. Indeed his art will be missed. I can understand your feelings Chinmayi....U shud feel lucky that u come across such great people...I am happy that his words brought a change in u ...That he is no more - I knw it wud not be acceptable for u..
One of the Best technician and greatest knowledge person indeed. I just want to remember whn I was with him in the earlier days of Panchathan and share one of his best slogan. 'Be a empty bottle always, so you can fill it up whatever you need', i always admire and follow this sentence. May his soul rest in Peace. i was @ his funeral today.. he was an amazing person.. more to say the father of my friends.. he was just 48.. he died of a massive cardiac arrest on monday morning..
Never known anything about him other than his work. Only seen his name in the credits behind every casette/ cd cover of Rahman's albums. Thanks for sharing your experiences with him. And my oh my, what a great loss to the industry! Was really shocked to hear the news...May his soul RIP. 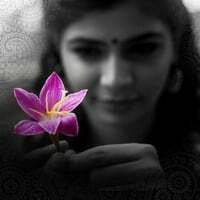 This is my first post in your blog Chinmayi. Im one of your many ardent worldwide fan. Saying that love the performance with Mukesh on Super Singer...where is the part tonight...awesome. And just found your blooper videos on youtube....hilarious. Never knew you were like that behind cameras. Love it when Usha Uthap goes "puriyave ille"
Hows life treating you? What new projects are you working on? He was so passionate and immersed in his craft so and so that he, the music, and his craft were truly one and the same. He passed away doing till the last hour what he loved. Mr Sridhar is no more with us , but leaves behind a legacy that ensures that the music industry attains much greater heights. Truly blessed is his soul and truly blessed is the music industry for its association with him ! Thanks Chinmayi for updating H.Sridhar sir death to world. Unable to believe still now about his death. I worked with him Sunday evening around 7pm on margazhi raagam project and saw his upbeat about that project. We missed one of our greatest legends in Sound Design. Shocking news Chinmayi - Thanks for letting us know. I'm shocked !! I am Suresh Bhimsingh, Sridhar's classmate from school (Padma Seshadri). We knew him by his other name Paddu (Padmanabh). For all of us from the PSBB Batch of '76 it was a bolt from the blue. The shock overrides the grief. The best part is that he could have done a million other things. He would just put in 24 hours of study and get through his exams with flying colors. He would be listening to music and just hanging out even on the eve of the exams. Electronics, Computers, cameras, Technical Gizmos, and so many other things: he was a kind of walking encyclopedia. But Music was his passion. He would just take any instrument and start playing it as if he had had years of formal training. We shared a common passion: photography. But of course once he got focused on his musical career, then days and nights were meaningless and he became wedded to his work, 24/7. We from our class of 76 ALL miss Paddu. My heartfelt condolence to his wife, sons, brothers and his Father & Mother. My condolences to Sridhar sir's family. As far as i know, he is the 'right hand' of AR. Now he is no more, I wonder whats the reaction of AR sir for this. Sridhar sir, you are a legend. You have left the industry with tears. There's no doubt at all, you will Rest In Peace in the hands of the almighty. Meeting him one day was one of my dreams, unfortunately he didnt gave me a chance. To pay respect on the demise of this great man, we have let down our website (arrahman.asia) for 24 hours. At least, we managed to do this. he was and will always be my BIGGEST inspiration.. its so unfair that he was taken away from us so soon.. feels horribly unreal.. its hard to listen to rahman's songs without my eyes tearing up..
WE MISS U SRIDHAR UNCLE!!!!! I've been an admirer of his for long. Since the early AR days, i've followed his name, his interviews along with AR. I tried to reach him during Washington DC concert but ended up with just a snap of him doing his job. Recently i had a chance to get in touch with him through facebook and exchanged couple of messages. He told about the recording styles, the latest technology in film sound system. hmmm.. i couldn't believe when i saw the news from Gopal in arrahmanfans group. i still couldnt digest it. Envying the Almighty that he has got the best man in the field with him now, leaving all of us orphan of his sound. May his soul sleep soundly... and Chinmayi, he is smiling down on you...and keeping a watchful eye.. keep ya head up... god bless. உங்களுடன் நானும் வருத்ததை பகிர்ந்து கொள்கிறேன். reflect back on his works and appreciate the things he has done to make music sound so good all this years. In some recent interview, Rahman was asked how he went about choosing fresh talent. He had told that the voice were analysed by his team comprising Sridhar sir and others. If the talent excites the team, Rahman uses it. In some ways, Sridhar was a silent architect for each and every Rahman's creation.Thus a great loss to the music world, especially to the team of Panchathan Record Inn. I am quite shocked to know he passed away.indeed he is a wonderful man and it is a big loss to the industry.Most of the ppl like me wouldnt knew abt this ppl working behind for music.His works was a marvellous!i grow listening to his mixing.he won many awards..and for sure many musicians and singers gonna miss him.even i am feeling bad although i never met H.Sridhar sir.May his soul rest in peace.God bless.. I learned so much about Mr. Sridhar in the past few days. May his soul rest in peace and wishing their family great strength and courage in this hour. I was browsing and found an Ellorum paatu paadungal episode where Mr. Sridhar was one of the judges. Aspiring singers can take a note or two from this episode. Sridhar was a friend and a great technician. It is indeed a pity we have lost him. It is strange and sad ...that how "behind the scenes" ... heroes remain truly hidden from "aam junta" ... and only get prolific obituaries/eulogies. Till this post I did'nt know such a person existed ... my humble suggestion is that ...there would be more such talented/helpful/unsung people in your musical life...do blog about them . If you like someone let "them" know soon enough...if they are wonderful let the world know..while they are still in their earthly abode. My deep condolances for his family.. Greatest Tribute to Sridhar, Rasuls Oscar Nomination for Slumdog millionaire. I am sure you are smiling from up there! Today is his Anniversary. Miss him and may his radiance leave the industry with a perennial glow!